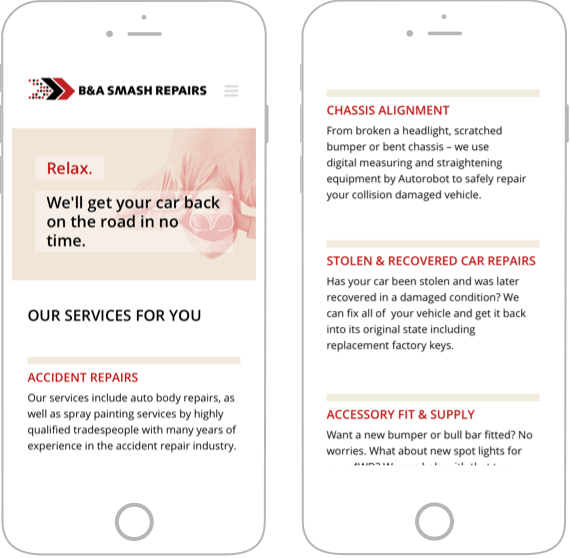 B&A Smash Repairs is an accident repair business located in Perth, Western Australia. The locally owned business offers high-quality spray painting and panel beating services for clients in the Perth metro area. 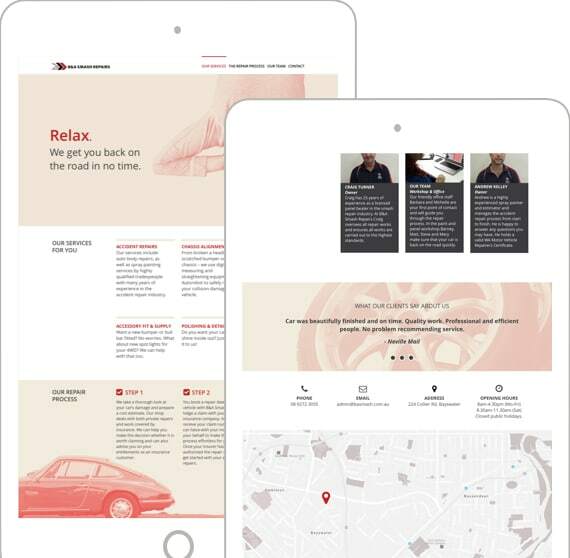 The main goal of this project was to obtain the attention of potential clients looking for accident repair businesses online and emphasise the company's dedication to customer support. 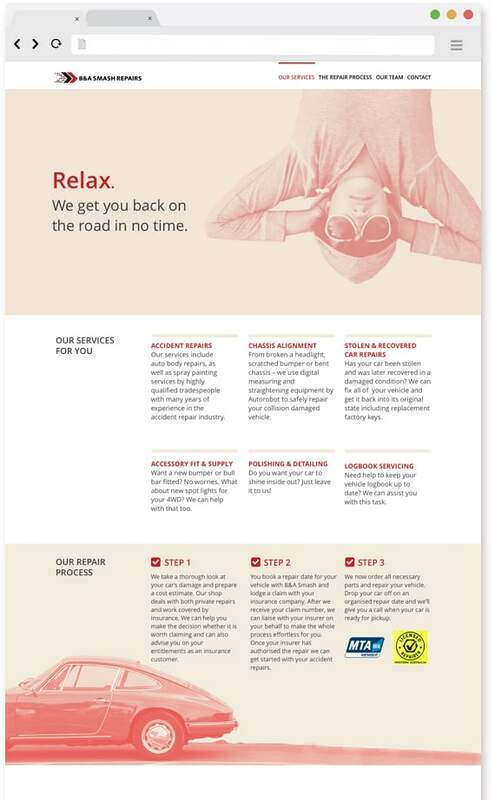 How can B&A Smash Repairs' high-quality service offerings and customer service focus be communicated effectively online? 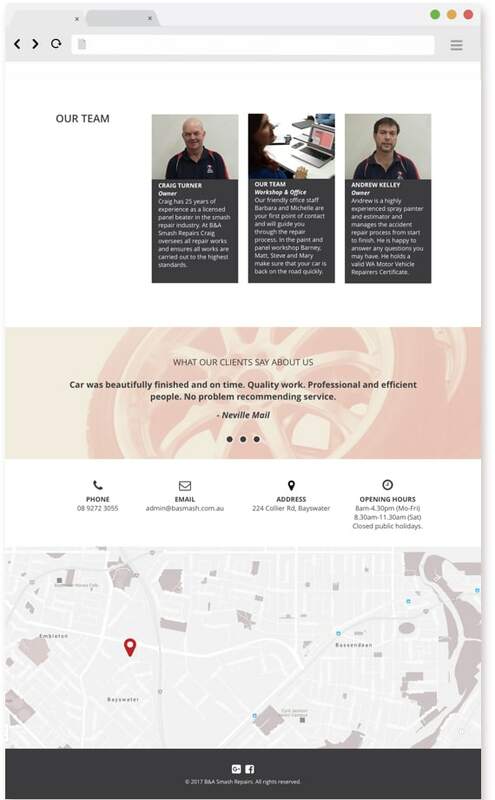 Most automotive-related business websites look very similar utilising a black colour scheme and vehicle-related imagery, an approach that B&A Smash Repairs wanted to avoid. As a UX/UI Designer I created wireframes, as well as high-fidelity mockups after determining necessary content and features with the client. The site was deployed using the WordPress CMS.